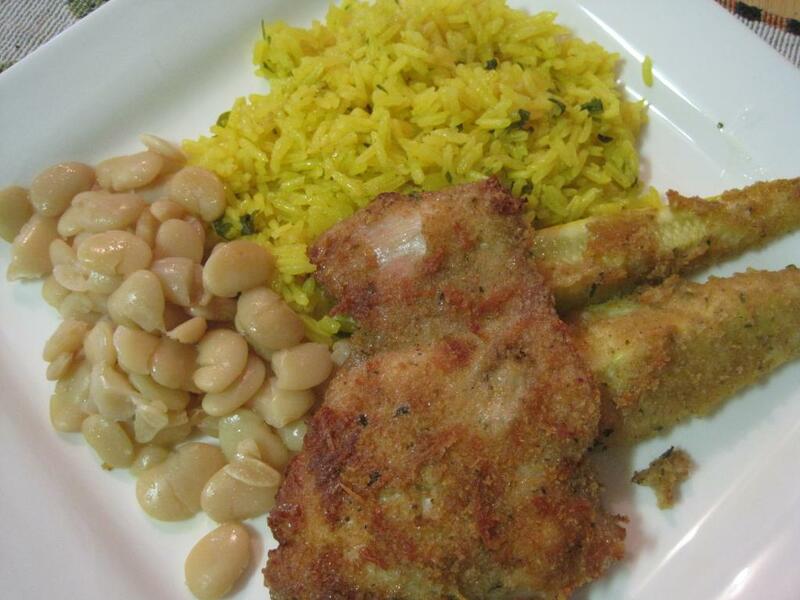 This recipe is based on the parmesan chicken recipe from Simply Recipes and it has become a favorite especially with my youngest daughter who just loves yellow squash! The chicken, the carnivore dad also deemed passable for the regular menu. Me, I like it because it’s so darn easy to cook that it easily qualifies for my weekday one hour meals list. This plate definitely should have some greens on it for nutritional balance’s sake, but I kind of like the yellow color scheme on this plate, don’t you? The baked parmesan chicken and squash were served along with baby lima beans and rice pilaf. The thing to remember here is to first batter your yellow squash before the chicken in order to avoid cross contamination. After you’ve battered both the yellow squash and chicken, you can bake them in the oven together for pretty much the same amount of time and you’ll have dinner on the table in no time! Preheat oven to 450°F. Pat the chicken pieces dry with paper towels. In a bowl, combine the minced garlic with the melted butter. 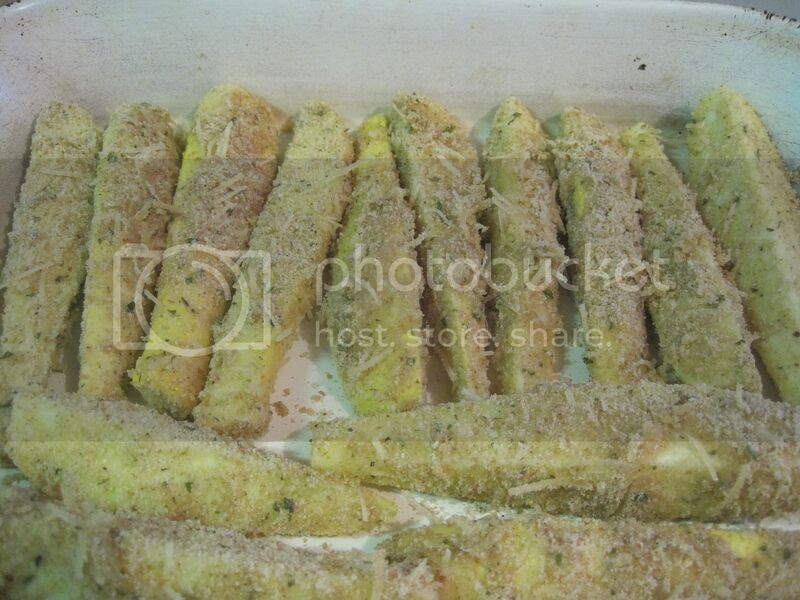 In another bowl mix together the bread crumbs, Parmesan, parsley, salt, garlic salt, Italian seasoning, and pepper. Dip chicken pieces into garlic butter, then into crumb mixture to coat. 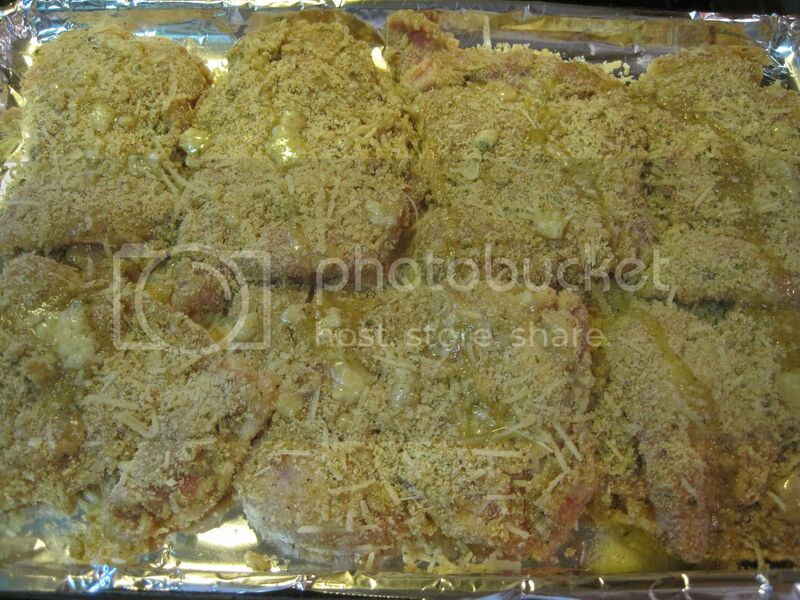 Place coated chicken pieces on to a 9×13 baking dish. Try to leave a little room between each piece. Drizzle with remaining garlic butter and bake uncovered 15 minutes, or until chicken is cooked through and juices run clear. Note that the chicken will get much more browned on the bottom side than on the top. The only change I made from Elise’s recipe is that I didn’t cut the thighs into pieces but rather left them whole. I extended the cooking time to 20 minutes instead of 15 just to be on the safe side and it worked out perfectly.